Brink Biologics, Inc. (BBI) is a NantKwest Inc. (NASDAQ: NK) affiliated biotechnology solutions company located in the prestigious Torrey Pines biotechnology science park in San Diego, CA. Natural Killer cell lines originating from a singular source, established in stable cultures under GLP & cGMP conditions and further modified into multiple panels of lines suitable for a range of laboratory testing applications. A standardized panel of CD16 expressing NK-92® cell lines, provides for the first time the means to establish a consistent, robust and reliable assay for assessment of ADCC activity. 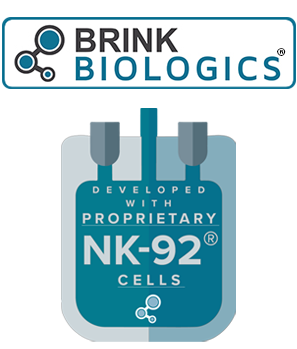 ‘Brink Biologics’, ‘Taking You Beyond the Brink of Binding’, ‘Neukopanel’, ‘Killer Assays’ and ‘laNK’ are trademarks or registered trademarks of Brink Biologics, Inc., ‘haNK’, and ‘NK-92’ are registered trademarks of Nantkwest, Inc.